We stepped out of the courtyard at Serra Plaza to get this wide angle photo of the wedding reception. 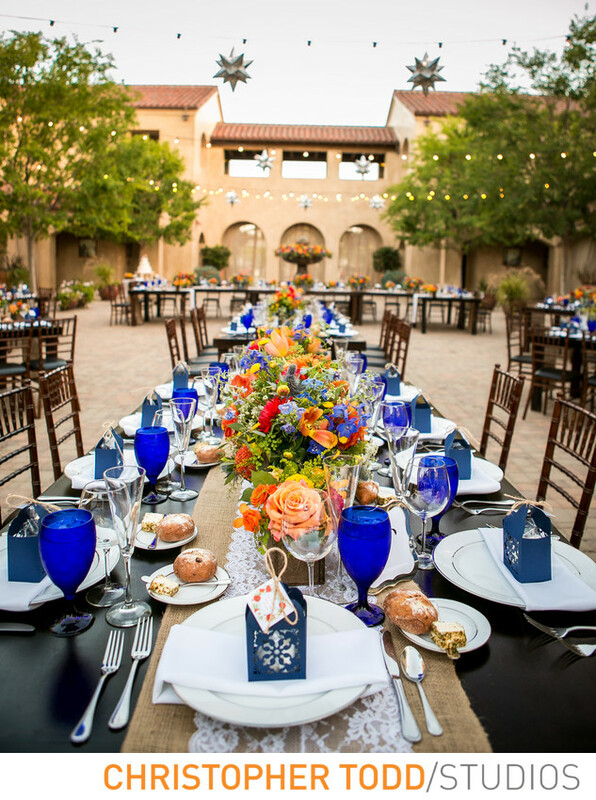 The guests enjoyed an evening of fine dining and dancing al fresco style in the Spanish courtyard. You can see the water fountain beautifully lit at night along with the tea lights that hung through out. A very fresh airy summer wedding at Serra Plaza. Location: 31910 Del Obispo St #125, San Juan Capistrano, CA 92675. 1/250; f/2.8; ISO 800; 24.0 mm.